• Custom Tuning Port structure helps lower the CG to ensure a higher launch with forgiveness. • The soft elastomer badge enhances feel and sound in the perimeter-weighted design. 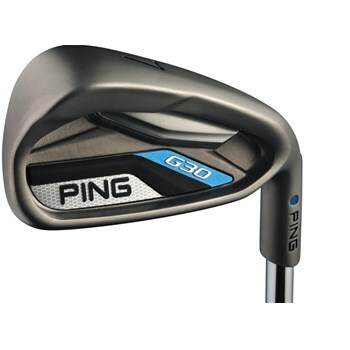 • Thin 17-4 stainless steel face maximizes deflection for faster ball speeds. • The cavity is undercut to save weight and allow for a low-back CG to improve launch conditions and increase forgiveness. • A soft leading edge radius and precisely calculated additions to the bounce profile ensure a smooth transition through the grass with a stable head. • Progressive offset through the set generates a high ball flight in the longer irons and controlled trajectories with the lower scoring clubs.